The greatest of the Warhammer knights are here. 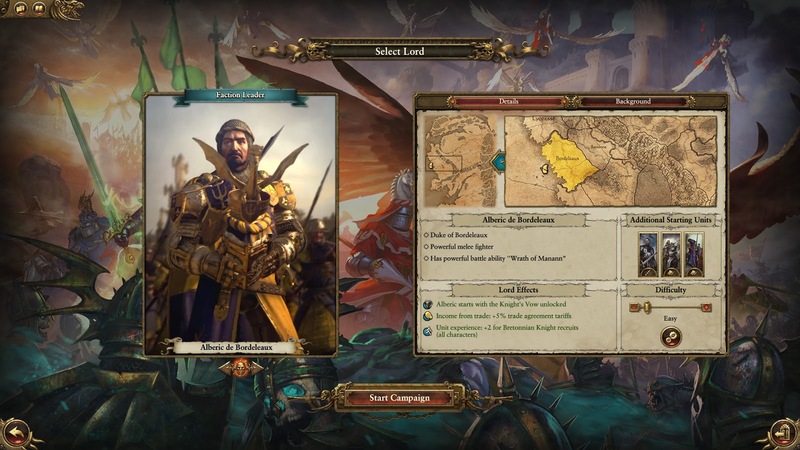 The mighty Kingdom of Bretonnia joins the Total War: WARHAMMER! It is a new "race" for Grand Campaign. Bretonnia is the land ruled by the mighty warrior-king and administered by number of dukedoms. Bretonnian society revolves around a deeply ingrained code of chivalry, and her people offer fealty to their Goddess, The Lady of The Lake. It is said that a Knight who distinguishes himself through honourable deeds may earn her blessing. 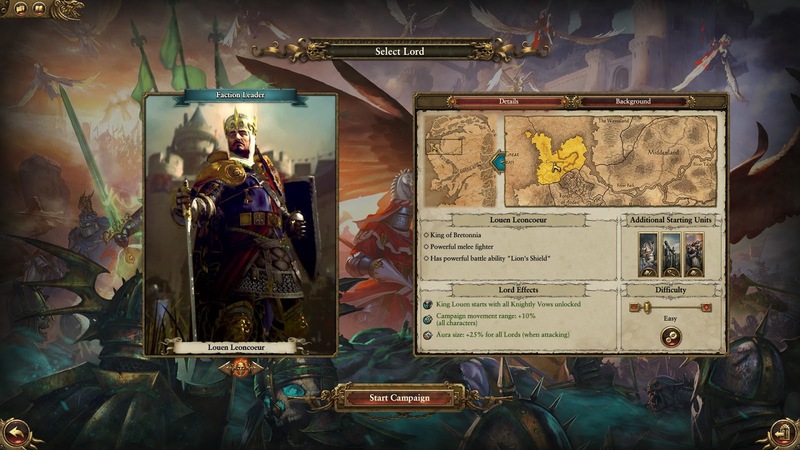 The Bretonnia unit roster is built around a core of powerful mounted knights, supported by peasant melee and ranged infantry, inexpensive yeoman cavalry, field trebuchets, religious zealots and puissant icons of The Lady. See much more information from the official site or from the Steam (links below). 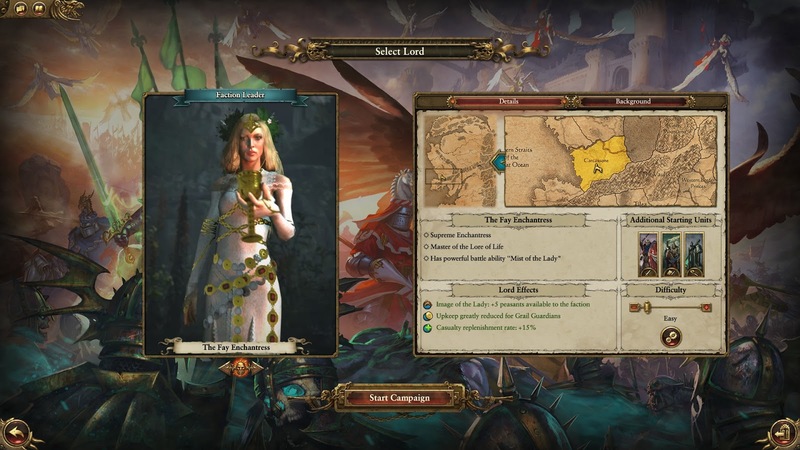 If you have Total War: Warhammer, then this DLC is free to download.